I love this kind of food. It’s simple enough but not at all boring. It can be cheap too. Whenever I have any unconsumed mushroom, ham, bacon or baby spinach, I’ll use them to make quiche and stored them in the freezer. Reheat and eat it as snack in between the meals. This quiche is totally different from what I used to make. I was so delighted that this potato crust is so wonderful with quiche. It’s thick and has flavourful base that complements well with the savoury filling. Potatoes are very soft after cooking. Therefore, it’s better to mash rather than grate them. Having some lumps in the mash is fine. I managed to make one 23cm and two 10cm round quiche. Crab meat? Yes. One of the main ingredients for filling is crab meat and I got the frozen one from Cold Storage. It’s simply impossible and no way for me to get live crab, cooked them and remove the meat from the shell. Frozen crab smells a little fishy but definitely it’s not spoilage. The curry powder has actually covered up the smell and made the filling tastes so flavourful and delicious. Curry Crabmeat Potato Crust Quiche. (2)Grate onions and place into a strainer to drain for about 10 minutes. Press out any extra liquid. Combine onions with rosemary, flour, salt and pepper. Mix well. Set aside. 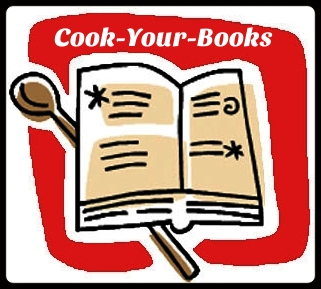 (3)Boil a pot of water and cook potatoes over medium heat for 15 minutes (I steamed the potatoes). Drain and leave to cool. When cool enough to handle, peel and grate potatoes finely (I mashed the potatoes instead). Mix the grated or mashed potato into onion mixture. 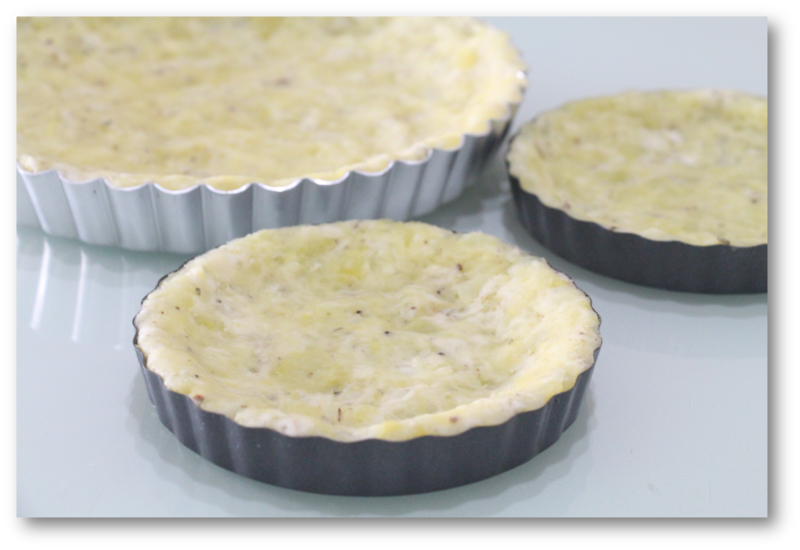 (5)Press onion-potato mixture into base and sides of tart tin, keeping the crust as even as you can. (7)Prepare filling. Heat oil in a pan over medium heat. Add onion and stir-fry until soft. Add curry powder and cook for 1-2 minutes until fragrant. Add crabmeat and stir-fry for 3-5 minutes, then season with salt and sugar. Dish out and set aside to cool. (8)Mix eggs with milk, cream and 250g cheese. 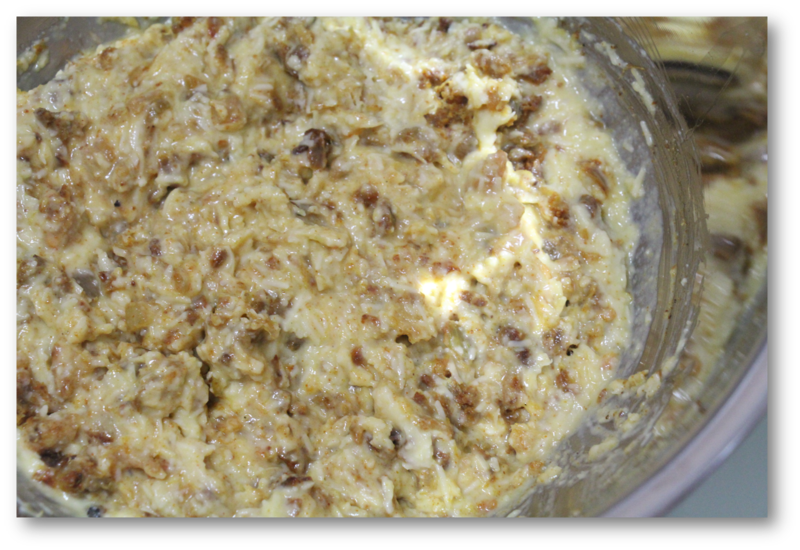 Add cooled crabmeat mixture and mix well. Pour into baked potato crust. Top with 2 tbsp cheese. (9)Preheat oven to 180ºC. Bake for 30-35 minutes or until filling is lightly browned. The centre will still be slightly wobbly. 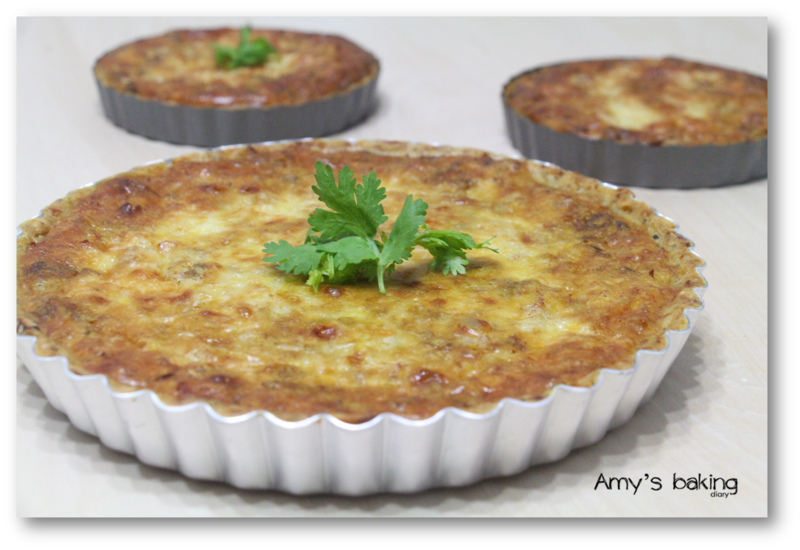 (10)Leave quiche to cool a little before cutting. Serve warm. by Jasline of Foodie Baker. 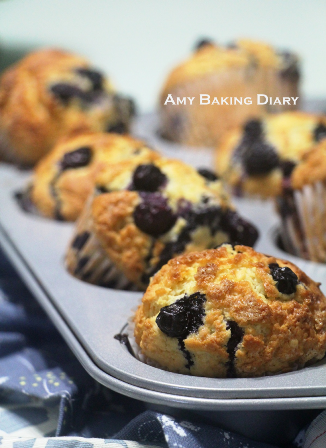 recipe is adapted from AllanBakes-Really Good Treats by Allan Albert Teoh. 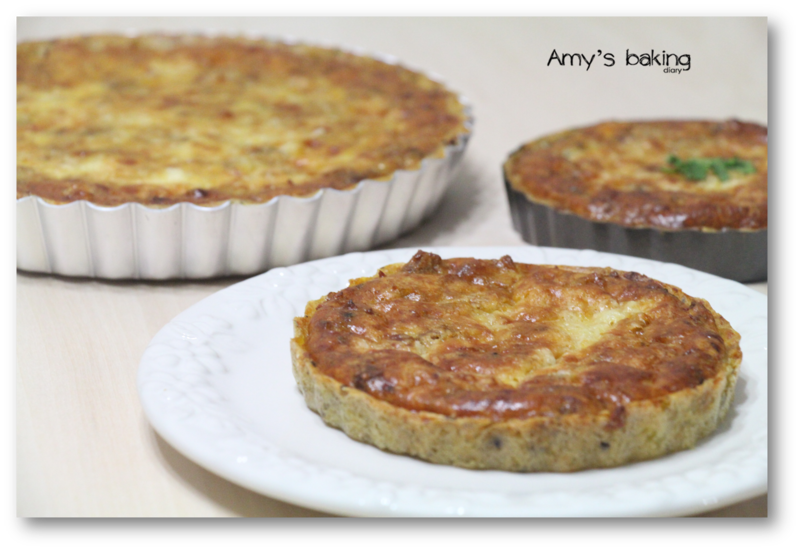 Hello Amy, I haven't tried potato crust for quiche. This really looks delicious with curry powder. 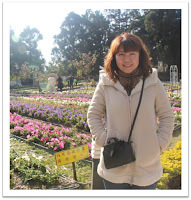 Will try out ... thanks for sharing! Wow, your quiche looks really delicious! Quiche is one of my favourite! You are right about freezing the extra, they taste just as as good after heating up! I have not tried making one with potato crust before, and I'm sure that I would love it as well. And your curry crabmeat filling sounds so delicious! Thanks for sharing! Hope you have a wonderful Sunday! 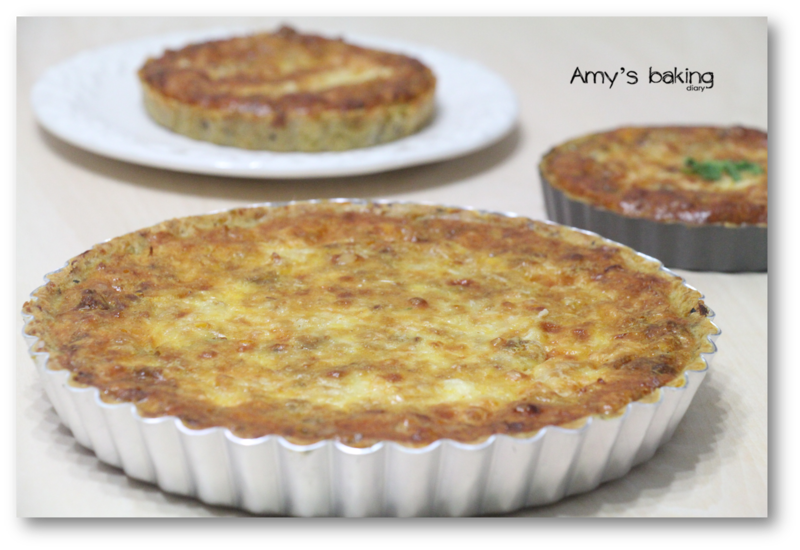 Hi Amy, your quiche looks delicious!! 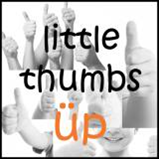 Love the fact that you have used a potato crust, a lot easier than traditional crust to me :) Thank you for sharing it with Little Thumbs Up! This is sure one special quiche! I know I will love this quiche a lot because potato and crab meat are one of my favorite. upon this website. Reading this information So i am glad to exhibit that I have a very good uncanny feeling I found out just what I needed. This I will definitely make! I love adding cheese to some of my curries. A.L.